If you've looked at my Goodreads gadget on my sidebar, you've probably noticed that I've been reading this book for over a month. I loved the book, it's just that I've been super busy getting well and reading for homeschooling. 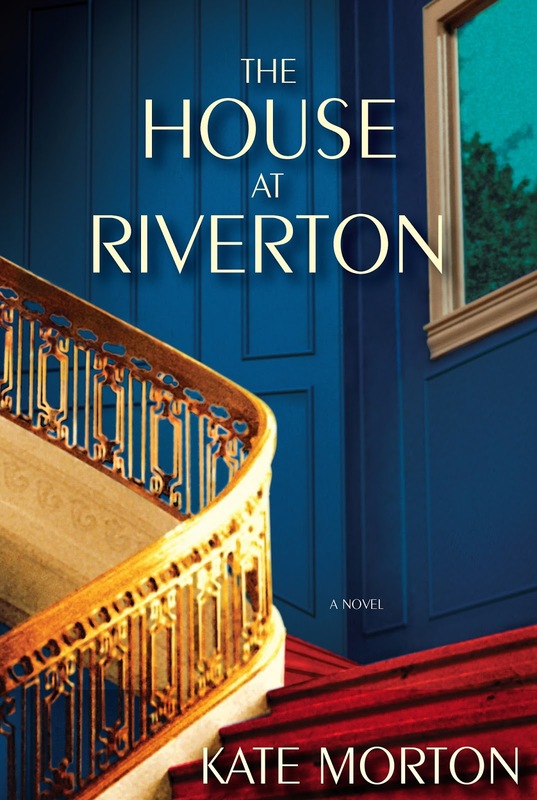 The House at Riverton is Kate Morton's debut. Now I've read all of her books, and it's funny that I read her first book last! I must say that I loved this book (I love ALL of her books), and this one ranks in my top two of hers. The novel opens in 1999 when Grace is ninety-eight years old, living out her last days in a nursing home. She is visited by a young director who is making a film about the events of that summer in 1924. She takes Grace back to Riverton House and reawakens her memories. Told in flashback, this is the story of Grace's youth during the last days of Edwardian aristocratic privilege shattered by war, of the vibrant 1920s and of the changes she witnessed as an entire way of life vanished forever. Kate Morton is at her best when she writes about family secrets, and the one in this book is completely unexpected. There are several similarities between this book and The Lake House, and I'm glad I read them close together. Both include young men devastated by the effects of shell shock from World War I and women who are successful in traditionally male-dominated professions. 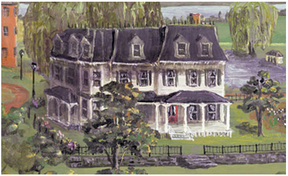 Both have lovely settings on country estates in England, and both books' climaxes are during a Midsummer's Eve party. It might sound as if her books are formulaic, but truly they aren't. Even with the similarities they are very different stories; I find the similarities interesting, though. 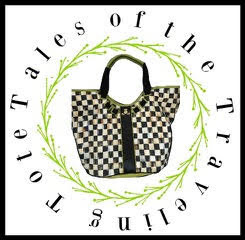 The most interesting relationship in this story is the one between Hannah and her lady's maid, Grace. It is also the most heartbreaking, too. There is nothing more tragic than mistaken betrayal, especially when the one accused is nothing but loyal to the core. Emmeline could have been developed a wee bit better, but as the story was told from Grace's point of view, it makes more sense that we know more about Hannah. The reader needs to pay close attention to relationships in this book because there are connections that are revealed late in the story arc. I was not expecting the ending at all. I was completely shocked and surprised, and I love it when an author takes me down an unexpected path. Have you read any of Kate Morton's books? Do you have a favorite? This one sounds good too. I suppose I will need to collect all her books. I have The Secret Keeper, on the stack, waiting... This week I have been reading two decorating books, and I started West With the Night. My eyes are giving me fits, and it is hard to read for long stretches. I think I may look for these books after your review. Sounds interesting RJ. I enjoy Kate Morton. I think Secret Keeper is my favorite.